As fight fans know, British promoter Eddie Hearn has done a huge $1 billion deal with DAZN, with the future looking bright in terms of plenty of big fights set to be streamed via the platform. Hearn made no secret of the fact that he wants to build and build his stable of fighters – to become “the strongest in the world” – and he has been attempting to sign up big names such as Deontay Wilder, Mikey Garcia and others. The offer, of $6.75 million for three fights, can in no way be realistically called a “slave deal,” certainly not when we consider how this big-money offer was placed in front of a fighter who has won just one of his last three bouts. Again, for a fighter who has lost his biggest career fights – to Marcos Maidana, Shawn Porter and Mikey Garcia – and who is coming off not a win but a draw (with Jessie Vargas), this seems like a decent enough offer. Broner, in the opinion of more than a few fight fans, has peaked and is slowly heading towards the end of his time as a marquee fighter. 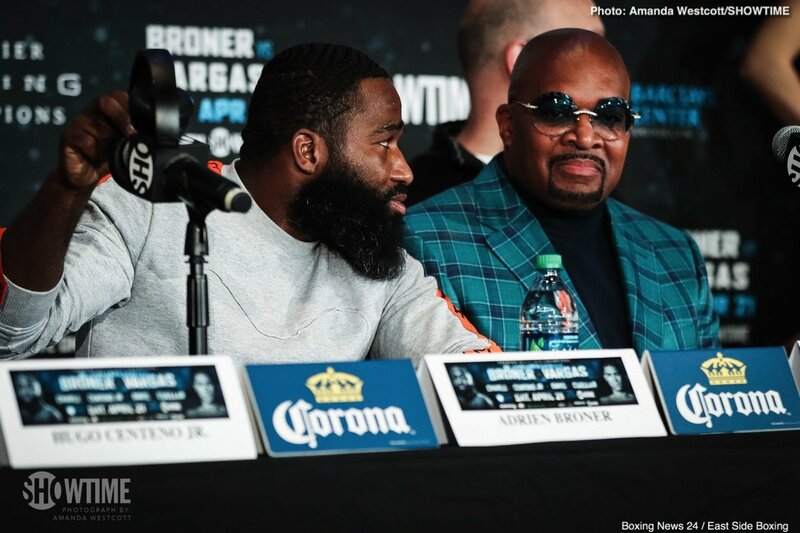 “I’m sorry Eddie Hearn you a good guy and all but you tried to give me a worst (sic) deal than @rocnation offered me,” Broner wrote on social media before adding the “slave deal” reference. Keep in mind how Broner, 33-3-1(24) collected a reported $1 million for the Vargas fight. With the cash Hearn was offering and with it the opportunity to fight and be seen by a streaming audience of potentially many millions of fans, Broner should perhaps have been less hasty here. It remains to be seen if Hearn will up his offer any or move on and look to snare other talent. Previous boxing news: David Haye expected to officially announce his retirement – Is “The Hayemaker” Hall of Fame-worthy?